Premier and Minister of Finance, Dr. the Honourable D. Orlando Smith, OBE, will be travelling to Hong Kong from September 19 to attend the Business BVI Second Annual Asia Conference. This global forum will celebrate best practice, learning from British Virgin Islands based and focused practitioners and organisations that are raising the bar. The goal is to mark the BVI as a leading player in the Asian offshore market and to inspire businesses to see the value in embracing stronger long-term strategies with the Territory. 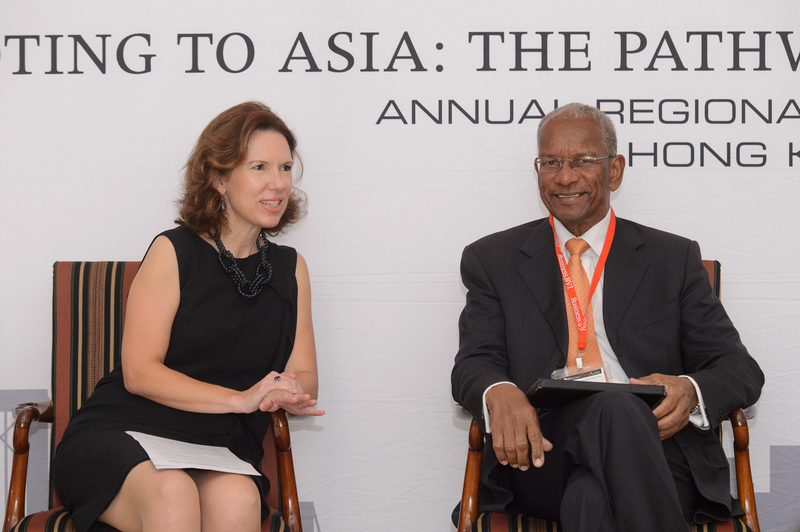 The conference will be held under the theme “Pivoting to Asia: A View Beyond the Horizon”. It is a forum for new ideas and a strategic vision for the sector with more than 200 industry experts and leaders from the most progressive businesses across the industry in Asia and the BVI gathering in Hong Kong to exchange ideas for the future. The Honourable Premier will also engage in a number of meetings with various stakeholders on financial services and other British Virgin Islands interests. Premier Smith will be accompanied by Executive Director of BVI House Asia, Ms. Elise Donovan, and will return to the Territory on September 25. Deputy Premier and Minister of Natural Resources and Labour, Dr. the Honourable Kedrick Pickering will act as Premier until September 25. Honourable Pickering’s appointment is in accordance with Section 55 (1) of the Virgin Islands Constitution Order, 2007 which states, “If the Premier is expected to be absent from the Virgin Islands for more than forty-eight hours, the Governor shall authorise the Deputy Premier to perform the functions of the office of Premier; and the Governor shall revoke this authority on the return to the Virgin Islands of the Premier.